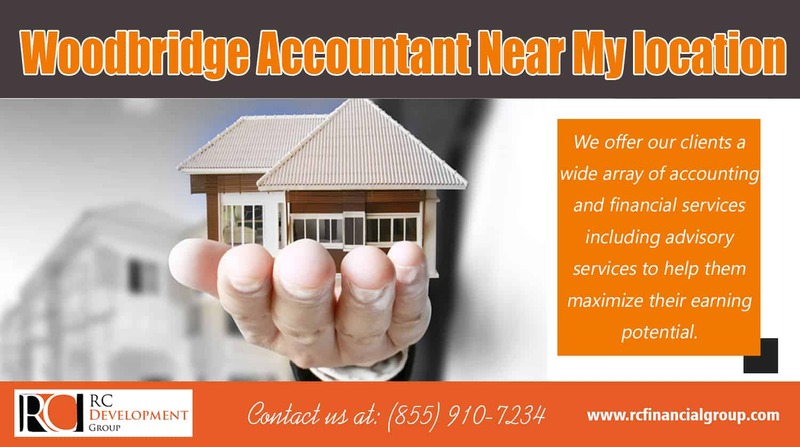 The right Accountant In Woodbridge can be a valuable business partner, not just another costly service for your personal use or your business. Some criteria should be established if you or your company would like to be as informed as possible when considering the selection of one. The right accountant or accounting firm can prove to be a valuable business partner, not just another costly service.An accountant can provide particularly useful relief to individuals and small businesses who are spending too much of their valuable time on their financial management and tax planning. The right accounting provider can be a valuable partner in the smooth operation of any business.However, with so many individuals and firms to choose from even in low population areas, the selection process can be an overwhelming one to take on. What follows are some important factors to take into consideration when selecting an accountant. Many individuals will need the essential services that an accountant offers, such as help with retirement planning or tax preparation. Someone who is self-employed will likely need advice on topics such as cash flow management or business valuation. Before meeting with potential accountants, take a careful look at your financial situation, so you have a thorough understanding of your needs, then prepare a list of questions you may have related to these needs. This preparation will help you to maximize the time you spend with potential accounting providers. You’ll want to be open-minded when speaking with prospective providers – you will never know when they might recommend a service that you did not expect them to offer. It is not unusual for CPAs to continually provide a wide range of services, or to specialize in niche areas to better meet client needs. It is essential to take an inventory of the vital services that you may need, but also to remain open to other services that are available to you that fall within your budget. It is usually wise to select a firm whose degree of business success matches your own. If you are an individual or self-employed, then you might feel more comfortable with an independent accountant or a small office. Medium sized businesses might benefit from a firm that employs staff with a broader range of expertise and has in-depth knowledge of the local market and laws associated. Regardless of the size of the provider, you are seeking, ask around to ensure that they are respected both in their industry and in the local business community.Other individuals may be dealing with more complicated issues like liens, bankruptcy or divorce. Don’t rush your meetings with potential accountants. It is a significant time to get a feel for how the future relationship will be. Ask yourself if you feel they are patient and attentive, and if they are thoroughly answering your questions without talking down to you or rushing the process. Are they offering practical solutions and presenting a future-oriented outlook when discussing what they can do for you? Be attentive to whether they are prompt in returning your communication and requests. Be sure not to ignore your gut feeling as to whether this will be someone that you feel comfortable having to manage your finances and working with you for an extended period.